Zac Holds LLB from Makerere University and LLM from Harvard Law School. He is currently the Acting Dean of the School of Law at St Augustine International University, Uganda. 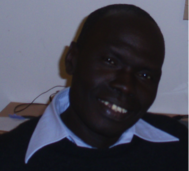 Prior to his current appointment, he was the Director of the Refugee Law Project, University of Makerere in Uganda. His research interests include international law and refugees, and post-conflict peacebuilding.